Early voting in North Carolina has ended and we’re staring down the barrel of election day. 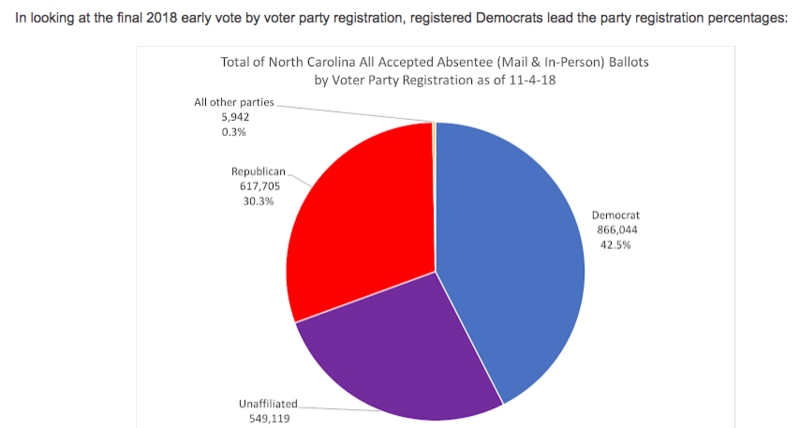 For one of the best data-driven takes on what we already know about this election going into Tuesday, you should head over to Old North State Politics, the blog of Dr. Michael Bitzer, professor of Political Science and History at Catawba College and one of the state’s most respected political minds. Why “impressive”? Because the Old North State is in its ‘blue-moon’ election cycle for the 2018 mid-term. 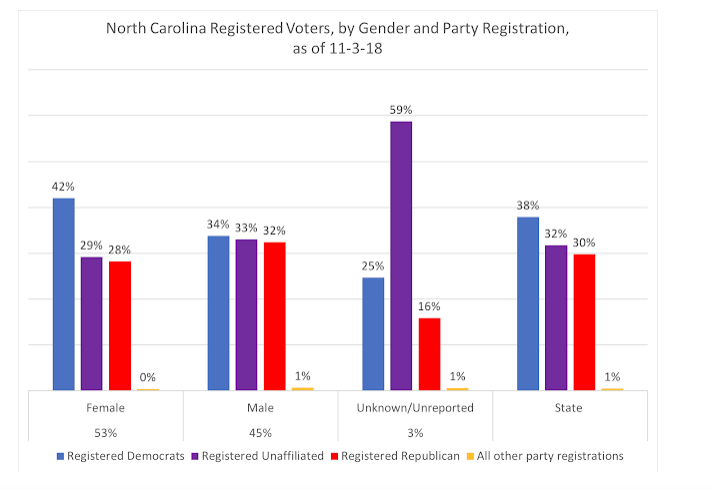 With North Carolina governor’s races held in presidential years and neither of the two U.S. Senate races being contested this year, there isn’t a major contest that draws substantial attention from across the state. Yes, there is a weirdly contested election for a state supreme court seat, various seats on the lower courts, and controversial constitutional amendments on the ballot, but there’s nothing like what is driving early voting in states like Texas (U.S. Senate), Georgia (governor’s race), or Florida (both U.S. Senate and a governor’s race). 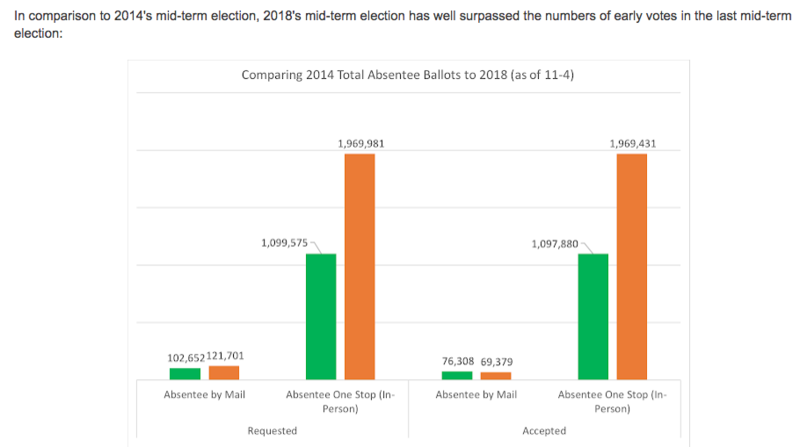 So, to have over 2.1 million votes cast before 2018’s Election Day, when the last mid-term election in 2014 saw a total of 2.8 million votes cast, allows for the term ‘impressive’ to be used in this context. Bitzer then backs that up with data on early voter turnout through various different lenses. Make time to read the whole post – and sift through all that lovely data – here.